Briggs & Stratton Corporation warrants to the original owner that select RapidStart™ equipped 500 and 550 Series™ engines will always start with a maximum of 5 primes and 4 pulls or we will fix it for free. 650-700 Series™ engines; 650 I/C® Series™ engines; 700, 750 and 750 I/C® Series™ DOV® and 800 Professional Series™ engines* equipped with ReadyStart® will always start on the first or second pull or we will fix it for free. The Starting Promise™ is valid on qualifying products purchased on January 1, 2010 or later. This warranty applies for a period of two years from the date of the original purchase and covers defects in engine materials or workmanship that may prevent the engine from starting in the stated number of pulls. It includes the cost of parts and labor for repairs related to the starting system. Transportation costs to and from the repairing dealer is the owner’s responsibility. Parts and labor costs of routine maintenance items, for such as air filter, spark plug, oil change, fuel filter, and fuel system maintenance, are not covered under this provision. The use of non-original Briggs & Stratton service parts may void this warranty if related to the starting problem. Engines used commercially are not covered under this provision. All other exclusions of coverage noted in your engine Operating Manual under “About Your Warranty” apply. Warranty service is available only through authorized Briggs& Stratton dealers. 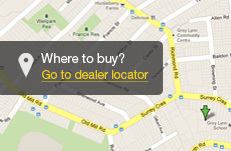 Locate your nearest Authorized Service Dealer on our dealer locator map at BRIGGSandSTRATTON.COM or by calling 1300 274 447 (Australia) or 0800 447 180 (New Zealand). *The Starting Promise applies to the following select models (Australia and New Zealand) only: RapidStart™ equipped 500 Series™ and 550 Series™ models, ReadyStart® equipped 650, 650 I/C®, 675 and 700 Series™ models, 700, 750, 750 I/C® Series DOV® models and 775, 800, 850, 850 I/C and 875 Series™ Professional Series™ models.